Are You a Science Fiction Fan? 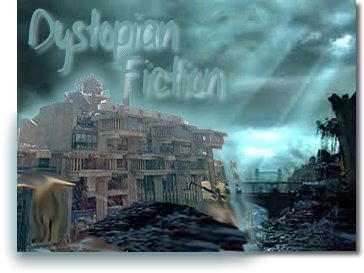 The Kickoff Meeting of the Dystopian Fiction Book Club is on Oct. 5th. Join Us To Help Us Plan the Year and While We’re At It, We’ll Discuss “Ender’s Game.” Your thoughts? Are you a science fiction fan? Love The Hunger Games series? Enjoy squeezing in some fun reading in between textbook chapters? The odds are in your favor that the Dystopian Fiction Book Club is for you! We’ll be meeting again this academic year for monthly book discussions. Our first meeting will take place on Monday, October 5th at 2pm in Library 314. We’ll be having a general kickoff, talking about the upcoming year and possible book choices. We’ll also be discussing Ender’s Game, the fantastic novel by Orson Scott Card. If you’ve seen the movie, you only know half the story, so you’ll definitely want to read this one! Copies of Ender’s Game will be available at the library’s circulation desk, and can be checked out for 3 days at a time. We hope that will give everyone plenty of time to read it by October 5th. Even if you don’t have a chance to finish Ender’s Game, come to the meeting anyway! We want to hear your thoughts about what the book club should be like this year, and what you want to read! This entry was posted in General Library, Library Staff News on September 8, 2015 by cmcneil.